GLENSIDE, Pa. and LANHAM, Md., April 3, 2019 /PRNewswire/ — Arcadia University’s nationally ranked College of Health Sciences has contracted to offer two clinically-integrated hybrid graduate degree programs to healthcare and medical professionals in collaboration with 2U, Inc., a global leader in education technology. The collaboration will begin next year, pending approval by accrediting agencies. The hybrid model allows programs to deliver dynamic course content building upon the University’s commitment to academic excellence without requiring students to relocate to Arcadia’s campuses. Learning experiences include distant digital asynchronous sessions, collaborative live classes that facilitate face-to-face interaction, and hands-on clinical experiences allowing students to collaborate with classmates and professors on campus several times throughout both years of the program. This partnership represents a new Graduate Program for 2U. The hybrid graduate degree programs are anticipated to launch in 2020. The College of Health Sciences at Arcadia University is committed to the advancement of the health and well-being of humanity. Arcadia’s College of Health Sciences houses the University’s Community and Global Public Health, Health Education, Medical Science (Physician Assistant Studies), and Physical Therapy programs. Through evidence-based practice and project-based learning, these programs prepare health care professionals for success in a rapidly changing global environment with applied and pro bono clinical thesis work, clinical rotations, international fieldwork, and multicultural assessment. In 2016, U.S. News and World Report ranked Physical Therapy 20th in the United States, and in 2019, the organization ranked the Physician Assistant program 46th in the country. 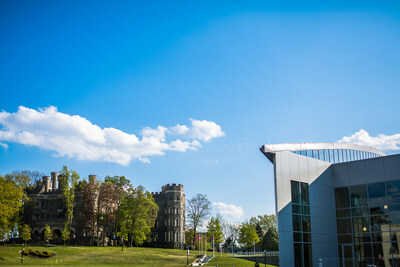 Arcadia University is a top-ranked private university in Greater Philadelphia and a national leader in study abroad and international education. The Institute of International Education has named Arcadia University #1 in the nation for undergraduate students studying abroad for nine consecutive years (2010-18), while U.S. News & World Report ranks Arcadia among the top regional universities in the north. The University’s Physical Therapy and Physician Assistant programs are nationally ranked in their respective categories by U.S. News & World Report. Arcadia University promises a distinctively global, integrative, and personal learning experience that prepares students to contribute and lead in a diverse and dynamic world. Visit www.arcadia.edu.